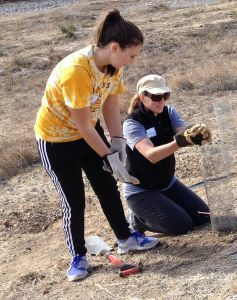 A Workday employee and her daughter finish planting an acorn. Living Arroyos was pleased to have Workday, Inc. join us to volunteer on Veteran’s Day! Volunteers planted locally harvested acorns along the stream channel at Stanley Reach in Livermore, dropping three acorns in every hole to increase the odds of a seedling sprouting from each site. 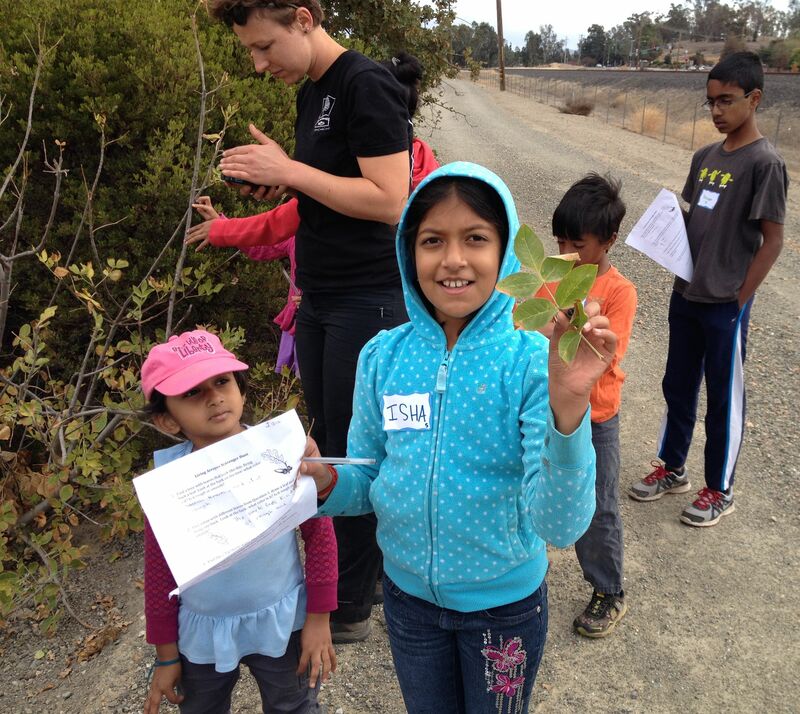 Isha holds up the a few leaves from a walnut tree, which she has found as part of the kids’ treasure hunt. Many employees attended with their children, who ranged in age from 4 years old to sophomores in college. Youngsters participated with their parents, learning the importance of having healthy, vibrant streams close to home. 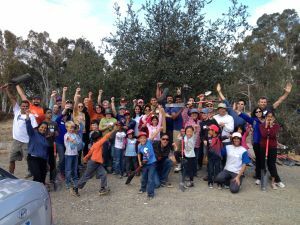 Kids engaged in their own activity as well, searching far and wide for various trees and site features as part of an educational treasure hunt. We extend our warmest thanks to those Workday employees who chose to take time out of their busy schedules and put their energy and passion into improving local streams for future generations. ← Fall Acorn Gathering at Alden Lane Nursery!